Joseph Henle may look familiar to some UFC fans. That’s likely due to Henle’s participation on Season 11 of The Ultimate Fighter. Despite having competed in the TUF house, Henle was never offered a fight on the Finale card, thus making him eligible for the 2013 MMA Prospects Report. Henle grew up playing sports in California and ultimately played college football at Cal Lutheran University. Following graduation, Henle was looking to fill the void for his athletic prowess and signed up for Jiu-Jitsu. One thing led to another and he was soon sparring against Karo Parisiyan, which ultimately opened Henle’s eyes to MMA. Henle went 7-1 as an amateur according to past interviews, though none of these fights are listed on the main MMA databases. Nonetheless, Henle turned pro in 2009, winning his debut via submission. He extended his record to 3-0, including a decision win over future TUF Brazil 2 contestant Roberto Amorim. Despite only having 3 fights on his record, Henle decided the time was right to test his skills at The Ultimate Fighter 11 tryouts. Henle made the cut, but unfortunately for him, he was set to face one of the season favorites in Costa Philippou, the same Costa Philippou that is now a Top 10 Middleweight in the UFC. Henle struggled early, but stunningly latched onto Philippou’s arm and pulled off the armbar submission. Henle’s TUF journey continued to be an uphill battle though, as he was selected dead last out of the 14 contestants. Henle worked hard throughout the show, but he was often portrayed as being the weak link of Team Liddell. 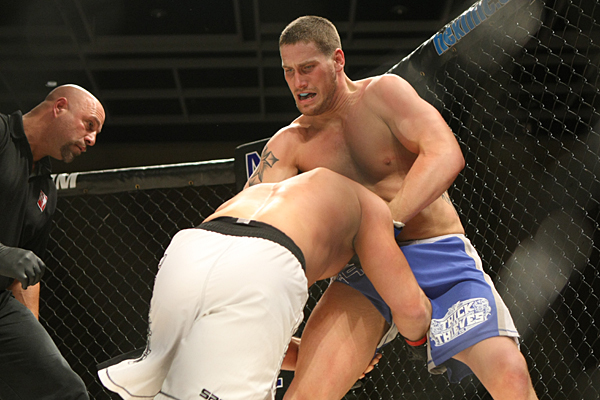 Henle eventually faced off against Seth Baczynski, losing via unanimous decision. Henle was not offered a spot on the Season Finale and soon returned to the regional circuit. Henle’s first fight off the show did not go as planned as he fought to a draw against future TUF 17 alum Collin Hart. Henle was likely saved the loss due to a point being taken away from Hart in the 2nd round. Henle did bounce back with an impressive 2nd round submission over veteran Sean O’Connell, which sparked a 4-fight win streak that eventually led to a contract offer from Canada’s MFC promotion. Henle’s MFC debut was outstanding as he finished Canadian prospect Luke Harris via 1st round TKO. Just 1 fight into his MFC career, he was thrust into a championship fight versus fellow top prospect Elvis Mutapcic for the vacant MFC Middleweight title. The fight was even after 2 rounds, but in the 3rd, Mutapcic landed a big leg kick that forced Henle to the floor and the referee stoppage soon followed. Henle had been rumored to have suffered a torn ACL, but there was never final confirmation on his injury details. 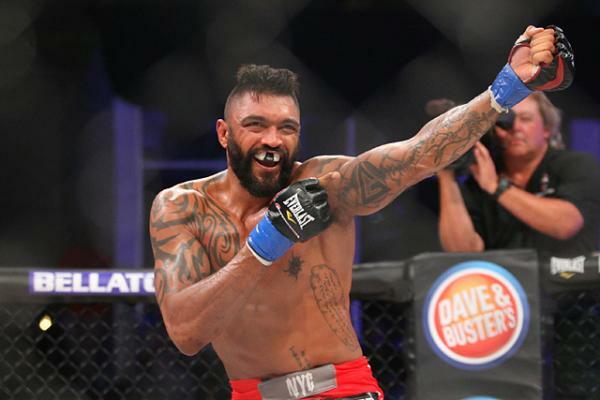 Henle returned back to the cage in 2013 as he defeated journeyman Miguel Cosio in the BAMMA USA promotion. Henle has one of the best training camps surrounding him in Reign MMA. Home to Mark Munoz, Jake Ellenberger, and a host of other big show talent, Reign MMA has truly become one of the premier camps on the west coast. 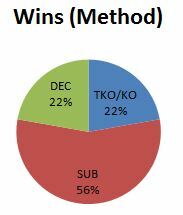 Henle’s improvements since TUF 11 are extremely noticeable in his last few fights. His wrestling is considerably better as his overall striking and conditioning. Some readers may feel that Henle is just a “TUF reject” and does not merit top prospect status. Yet, people have to remember that Henle joined the show just 3 fights into his career. Let’s also not forget that Henle submitted Costa Philippou to get into the house. Philippou has never been finished in his career despite the fact that he’s faced guys like Tim Boetsch, Court McGee, and Uriah Hall. Was it a fluke win, maybe, but the fact remains Henle has skills and has made a ton of improvement since those 2010 tapings. Henle is a very well-rounded fighter with good hands and excellent submission skills. His wrestling is still a work in progress, but he has improved leaps and bounds over the last couple of years. Henle’s striking usually consists of a lead right hand and a plethora of kicks. Henle likes to pressure and be aggressive, though this has sometimes hurt him in the later rounds of his fight. Henle’s weaknesses have mostly been revealed when he’s faced stiffer competition. Thus far, outside of the submission win over Philippou, Henle is 0-2-1 against what I would consider UFC quality competition (Hart, Baczynski, Mutapcic). His takedowns have not been effective against higher caliber competition, so he is usually forced to win his fights on the feet. Henle can do so, but once again while facing stiffer opposition, he’s struggled to truly separate himself from the middle of the pack. It should be noted though that Henle was more than holding his own against Mutapcic, and had he not suffered the injury, the fight looked to be up for grabs in what truly could have been an immediate stepping stone to the UFC. Henle’s main question marks still revolve around his conditioning and technical skills. Henle can be a bit lumbering with his movement. He’s improved in nearly every area of his game, but there is still a bit of hesitancy in assessing his striking. As a fight drags on, Henle usually starts to fall back on some his old mistakes as far as his striking defense and footwork are concerned. Also, as mentioned above, Henle has an excellent ground game and an ever-improving takedown game, but that hasn’t really shined through in his higher profile fights. Henle has a lot going for him, but he will need to make a push to get himself signed by the UFC or Bellator in the very near future. In past interviews, he’s stated that the UFC is his main goal, so for him to make that dream happen, he’s going to have to win at least 2-3 more fights to get back on their radar. It looks as if Henle’s status with the MFC is up in the air as they’ve struggled to offer their top stars fights as of late. Henle is coming off that knee injury, so he’s been a bit inactive, but at 30 years old, it’s likely now or never for making that push towards signing with the UFC. Henle has one of the top camps in the world and I am sure they can pull some strings to get Henle some fights in mid-level promotions until hopefully the UFC comes calling. A quick glance at the UFC Middleweight roster reveals a bunch of Henle’s fellow TUF 11 contestants: Chris Camozzi, Brad Tavares, Nick Ring, and Philippou. 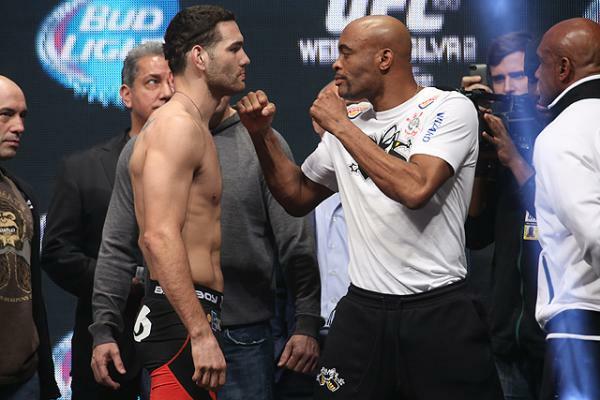 All of those guys are more than holding their own in the UFC, combining for a 19-7 UFC record. Henle is likely still a step behind those guys, but not too far away. I could certainly see him holding his own against the bottom half of the UFC’s roster. His style is somewhat comparable to Trevor Smith, who recently earned Fight of the Night honors against Ed Herman. Henle is likely not going to be a Top 20 fighter when it’s all said and done, but he certainly has the capability to win at the UFC level.